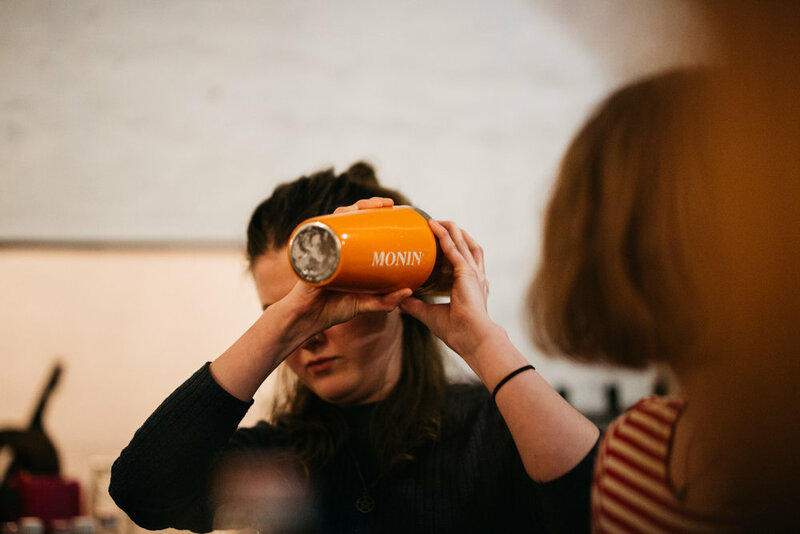 This week we teamed up with our partners MONIN to host two interactive coffee cocktail workshops in Brighton and Bristol. The theme for both nights was extending opening hours, with local coffee shop owners and baristas coming together to share knowledge and learn some new coffee cocktail recipes to expand their business potential. 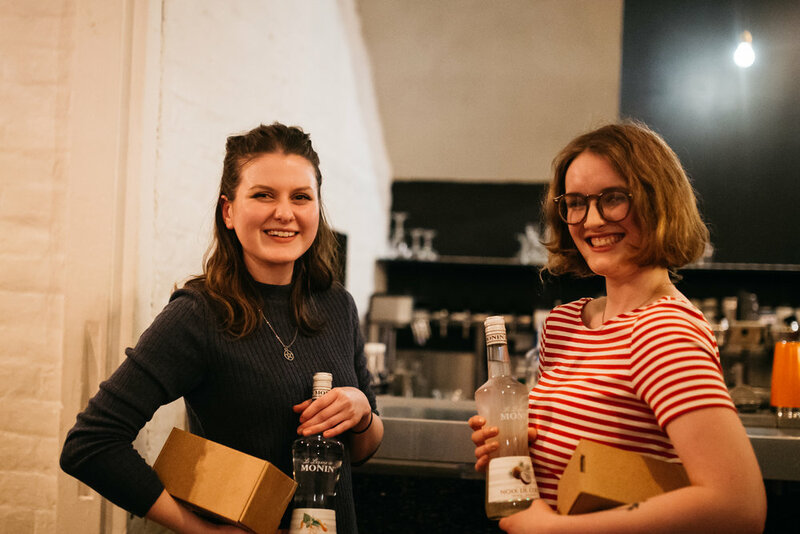 In Brighton we were hosted by our friends Silo who shared their fascinating story into becoming a zero-waste restaurant. The evening kicked off with a presentation from Attila Molnar, coffee expert at MONIN and world barista world champion finalist. Attila shared some key insight into extending trading hours in a coffee shop environment as well as key trends in both coffee and cocktails. After a hefty knowledge fix, we turned to Lee Hyde to shake up some drinks for us to try. First up on the menu was a deliciously light Espresso Spritz, followed by a Chocolate Brownie Stout and a Nitro Popcorn Espresso Martini. Sound delicious? We’ve included the recipes below for those who would like to try these at home! That wasn’t all that the MONIN team had in store either. After showing their own favourite flavour combinations, they let the audience take a shot at it themselves with an Espresso Martini competition. Teams were given a range of MONIN flavours and garnishes to choose from to create their own bespoke Espresso Martini from scratch. With so many talented baristas, the competition was fierce and did not disappoint. In the end Kat and Amy from Redroaster took home the title (and their very own bottles of MONIN liqueur and cocktail shakers) with their ‘Morning Wake Up Call Espresso Martini’. In Bristol, we took over the beautiful Little Victories store for the evening and heard from their head barista and cocktail specialist Gary who rustled up a few of their signature Cold Brew Negroni’s for us to try before Attila and Lee took over for another evening of knowledge sharing and cocktail tasting! Add ice cubes to the glass and pour in the syrup. Top it up with soda and mix with a spoon. Gently pour espresso over and finally decorate with dried orange. Add all ingredients together into a chilled beer glass and stir gently. Finish off with a piece of brownie as garnish. Add all ingredients to a 5-litre Nitro Keg and dispense straight from the tap, on the coldest setting, into a chilled coupette. Garnish with popcorn. Or, if you don’t have a Nitro Coffee machine you can always try the original. Add all ingredients to a shaker with ice and shake thoroughly. Fine strain into a chilled coupette and garnish with popcorn. You can check out the full photo gallery on our Facebook page here, and please tag yourself and your coffee shop. If you're looking for a quick easy way to support Project Waterfall and UK Coffee Week, make sure to follow us on all our social channels. If you haven't already, you can sign up and take part in UK Coffee Week 2018 here.